The Laconia Lofts were the pioneer of SoWa’s loft-style living and the landmark luxury building on Washington Street. 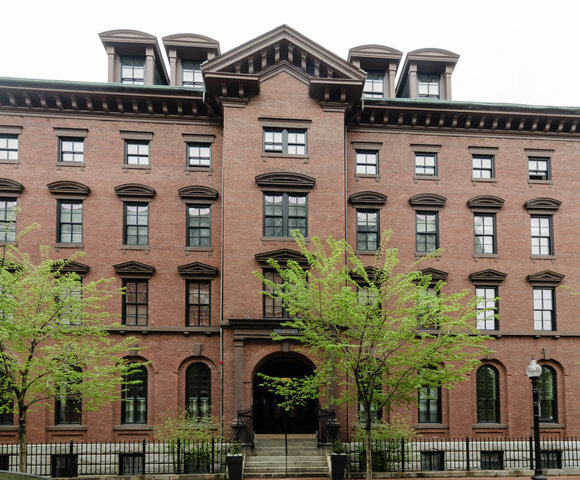 This building is located across the street from Peter’s Park – a 5 acre green space in the heart of the South End featuring one of the Boston’s best dog parks. Laconia Lofts superb location puts its’ residents within walking distance of the South End’s world-famous Restaurant Row, SoWa farmer’s market and public transportation. Home to the Laconia Gallery, this building is a direct extension of SoWa’s tight-knit artist community. The Laconia Lofts were delivered as shells by its developer in 1999, leaving the residents to design each unit in a different and creative way. Properties in this building feature high ceilings, large windows and wide open floor plans. This loft community shares a common roof deck with commanding views from the Back Bay to the Financial District, direct access to garage parking, and an on-site property manager for easy living.